If you’re on a budget or just looking for some ways to save some of that dough, I have a few money saving tips that may be helpful. These days the average cost of a wedding can be anywhere between $25,000 – $35,000. Yes, this is one of the biggest days of your life, but that is still a nice chunk of change to be spent on one day. Now, my suggestions may not be for everyone. We all have those specific things we just won’t sacrifice on. It’s up to you to decide what those things are, but hopefully you can find some inspiration from some of these cost savers. Many venues offer lower rates for Friday weddings and even lower for weddings during the week. Consider having a Monday wedding and having your guests arrive the weekend before and make a 3 day celebration of your wedding. Also selecting a wedding date that isn’t during “wedding season” can also save some serious green. Picking a day in September rather than June could dramatically lower your venue cost. You can also cut costs by purchasing a sample dress at your bridal shop or checking out trunk shows for deals. I recommend following pages like “Brides of North Texas,” they are always posting events on the next trunk show, or you can just search “trunk shows” in your area and you should be able to find plenty. Pre-Loved is another option that could save you thousands. The food is no doubt an important piece of your wedding day. However, there are some options that are more cost efficient. Buffet style is less costly than plated dinners for sure. I attended a wedding where they did a pot luck style dinner. Admittedly, I wasn’t so sure how this would turn out, but it worked out perfectly. The couple had a page on their wedding website where guests could sign up and post what they were bringing. There was a wide variety of food to try and I definitely had plenty to eat that night. If you have a lot of great cooks in your family, this might be a good option. I can’t tell you how much cake is often left over at the end of the night. Opting for different desserts such as the popular donut stands, or maybe the couples favorite pies not only provides guests with more of a selection, but is a lot less expensive than a large detailed cake. *If you don’t want to skip out on the cake, another option is to order a small two tier cake for display and the cake cutting, but also have a large sheet cake to cut and pass out to guests. 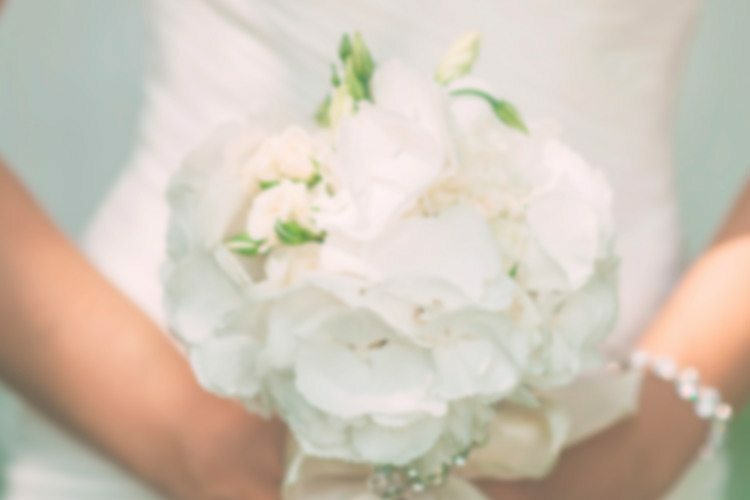 Flowers are easily one of the biggest costs of your wedding. Selecting flowers that are in season will help your budget significantly. Gerbera Daisies, carnations, and hydrangeas are great money saving choices. Your florist will be able to give you more options as well. Also, Filling your centerpieces and decor with more greenery will help to keeping your flower costs down…and it looks beautiful! I’ve always been a fan of lots of greenery in floral arrangements! Hope you found some of these money saving tips helpful!